South Africa’s top surfer, Jordy Smith, joined competitors at the O’Neill Jordy Smith Supergrom presented by Sea Harvest Sunday and spent the day at Rock Piles near Bay of Plenty signing autographs, answering questions and handing out the trophies, medals and prizes to the finalists in all six divisions. Smith, who is currently ranked third on the WSL World Tour, also invited nine young surfers from the South African Surf Tour rankings to join him for a 30 minute Expression Session which was held in excellent surf on Day One of the event. The South African superstar spent the heat encouraging the invitees to perform as many radical moves as they could and in thirty minutes only caught one wave himself. In the end O’Neill team rider Eli Beukes from Kommetjie was named the winner of what was one of the highlights of this popular 1A rated SA Surf tour event. 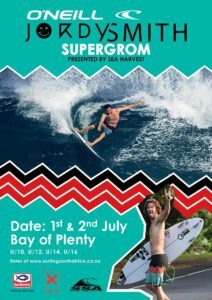 The Supergrom Contest was part of the 2017 DBN X Fest. 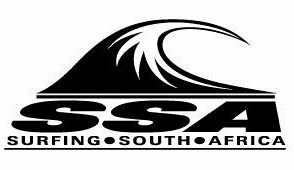 It catered for girls and boys in the U10,U12,U14 and U16 age groups who earned SA Surf Tour ratings points by participating in the Surfing South Africa sanctioned competition. The finalists won a share of the R16000 in prize money and prizes on offer at the event. After enjoying great conditions on Day One, surfers in the final rounds had to deal with difficult onshore surf but despite the conditions there was some top class surfing across all six divisions. The premier U16 Boys Division title went the way of Aya Gericke of the Wilderness. He beat Max Elkington of Kommetjie into second place with Beukes taking third ahead of Dominic Southwood of Durban. Julia Plougmann of Scarborough beat local girl S’nenhlanhla Makhubu to take honours in the Under 16 Girls Final. Gabi Lailvaux of Westbrook was third and Claire Haskins came fourth. Talented Mitch du Preez fought his way through a tough draw in the U14 Boys division to win this final from fellow East London surfer, Daniel Emslie. Christian Venter of Melkbosstrand was third and another East Londoner, Reilly Mare, came fourth. Ceara Knight of Kommetjie notched up her second U14 Girls victory this year when she beat her close friend Caroline Brown of Hout Bay into second spot. Zoe Steyn and fellow East London surfer Lhea Johnston, were third and fourth respectively. The U12 title went the way of ratings leader Kyra Bennie of Vredehoek in Cape Town. Bennie has been dominant in this Division this year and his results earned him an invite to the Jordy Smith Expression Session. Ethan Currin of East London was second, River Gericke of the Wilderness came third and Thor Knutsen of Durban North was fourth. Kai Hall of Durban secured his first SA Surf Tour title when he edged Josh Malherbe of East London into second place in the U10 Final. Gabbi Herbst of Durban, the only girl in the U10 Division, came third and Sergio Nogueira of Umhlanga was fourth.